.James Stewart AKA Jim died on 26 January 1893 of snake bite near Quebrada de la Leija, Colombia South America. Thus ended the life of this promising young railway engineer. Probate records in NZ Archives and on Family Search enable one to piece together the story of this incident. Letters from various officials, court ,brother, father, and his will , give an extensive story and records of the incident - all available digitally on Family Search from NZ Archives. "New Zealand, Archives New Zealand, Probate Records, 1843-1998," database with images, FamilySearch (https://familysearch.org/ark:/61903/1:1:Q2XL-C637 : 12 November 2017), James Stewart, 1893; citing Auckland, , record number 1476, Archives New Zealand, Auckland Regional Office; FamilySearch digital folder 100968197. James Stewart Jnr was said to have been born in Mount Street ,Auckland, New Zealand on 11 August 1863 to James and Mary Stewart. What could be said to be James Jnr's first introduction to engineering and surveying. For his father James , a Scottish born engineer and surveyor of four years in the " new country " advertised offices above Brown & Campbell & Co premises in Shortland Street, Auckland. James Jnr would be familiar with those premises in later years when following his father s engineering footsteps. The second half of the 1800's was the era of railways and steam technology or New Zealand and across the Pacific Ocean in South America and the Tasman sea in Australia. 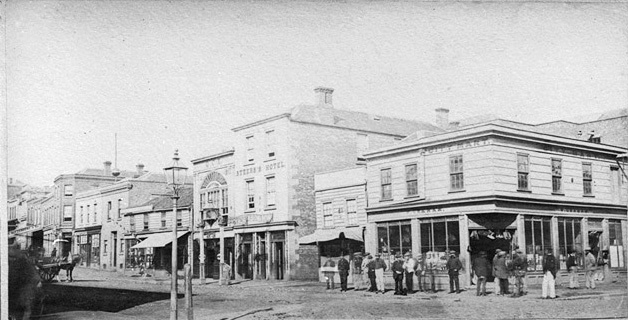 Looking east from Queen Street to the south side of Shortland St showing City Market, Steers Hotel, Q.C.E. Hotel, premises of Alfred Gregory Bartlett and David Nathan, B Rittenberg and Company, men standing around the corner, a horse drawn carriage and gas lamps 1865 ? One of eight siblings ( including four sisters - Christina, Lizzie, Mary and Annie, mentioned in James Jnr's will) ,James grew up in Auckland. Education was at the Auckland College and Grammar School along with brother John. James Jnr is recorded as having begun schooling there in 1875 and completing schooling in 1881. Mr. Farquhar McRae was headmaster back then and the school was in the old Albert Barracks buildings and grounds Princes Street. Opened in 1868 it had moved from the old Immigration Barracks in Howe Street 1871 because of growing pupil numbers. 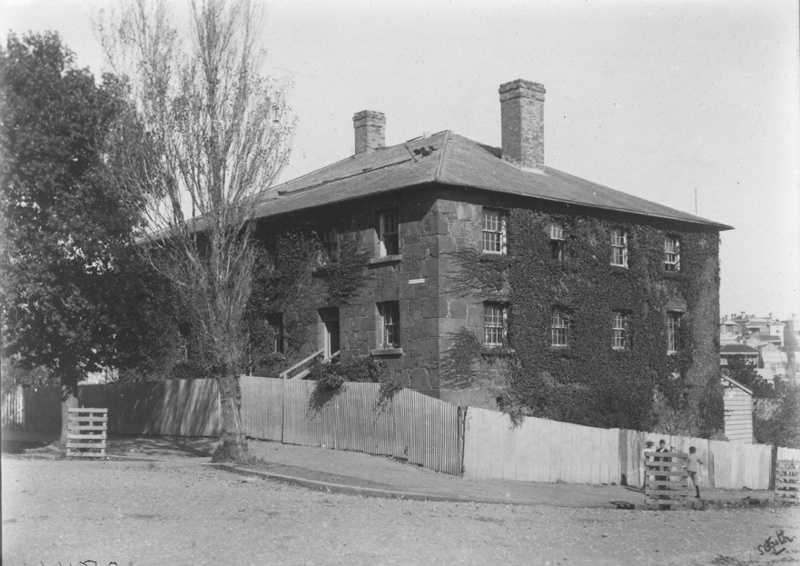 The Stewart family provided several founding pupils of Auckland College and Grammar School. On to 1881 and it was the beginning of James Jnr's engineering career. He was articled for four years to his father James Stewart. James Stewart senior, by this year, had also retired from the Public Works Department after nine years as District Engineer. Stewart senior established an Engineering practice with Ashley Hunter forming what was the well-known firm of Stewart and Hunter. Others regarded as highly skilled engineers, also joined Stewart and Hunter to work on various engineering works - Gerald Butler Beere, Henry AKA Harry Roche, Samuel Harding. James Stewart Junior was to complete his engineering training with these engineers followed by three further years as resident engineer to the firm of Stewart and Hunter. Two major engineering projects for Stewart and Hunter during these years were the Waiorongomai AKA Piako County tramway and the Thames Valley Rotorua Railway. The Waiorongomai AKA Piako County tramway was begun not long after the discovery of gold . The Piako County Council decided to fund the construction of a tramway to bring the quartz down to the mining batteries. In 1882 the works were begun with an initial survey of a route which was down steep slopes, spurs and inclines. By early 1883 James Stewart Junior's father passed completing construction of the tramway, over to Henry AKA Harry Adams.This due to Stewart senior's other commitments including the Thames Valley Rotorua Railway. It is known that the Waiorongomai AKA Piako County tramway was where James Stewart Junior began first engineering work under his father's supervision.
" Writing over to his" people, here Mr Stewart speaks of some of the country through which his line went as being very wild, as standing on end, and compares it to some of the rugged land on the Rotorua survey. He mentions a frightful thunderstorm that burst over his camp one night. The whole camp was overset, the tents blown down, while the rain came down in torrents. The brilliant flashing of the lightning, accompanied by the roar of the thunder, he could liken to nothing bother than the eruption of Tarawera, which he witnessed. Bar this, he had never seen anything like it in New Zealand. " 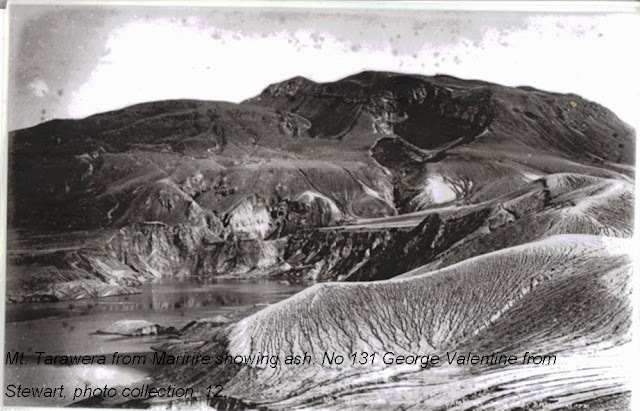 The railway line was opened to Lichfield on the 21st June, eleven days after the destruction of the Tarawera eruption in 1886 however was not to be completed until 1894. 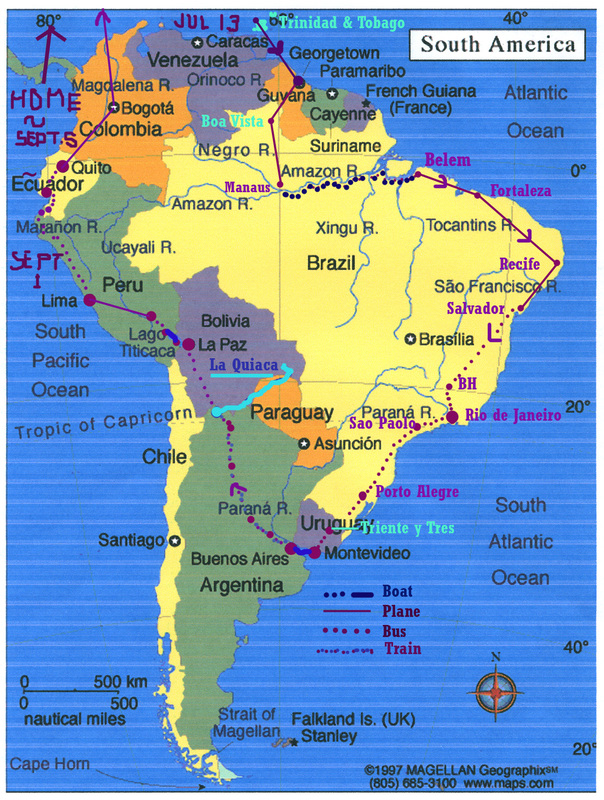 By then James had journeyed to South America November 1888 aboard a steamer to Rio de Janiero. Not long after arriving he gained survey work on the Central Uruguay Railway extensions on the construction of a railway from Paso do los Toros northward to the Brazilian frontier. engineering contracts -Thomas Brassey and Co.
Also involved in the supervision of construction of South America Railways was David Angus Minst., married to Mary a sister of James Stewart jnrs. sister-in-law, Jessie Stewart. Initially Angus was working on the Victoria and Natividade Railway in Brazil, the on to Argentina. 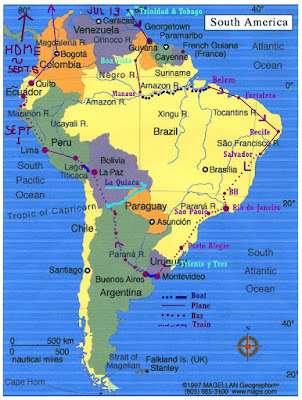 Afterward, Angus travelled to Paraguay where he worked on the railway lines from Asunción to Villa Rica until 1891, when a severe economic crisis shut down his prospects in South America. 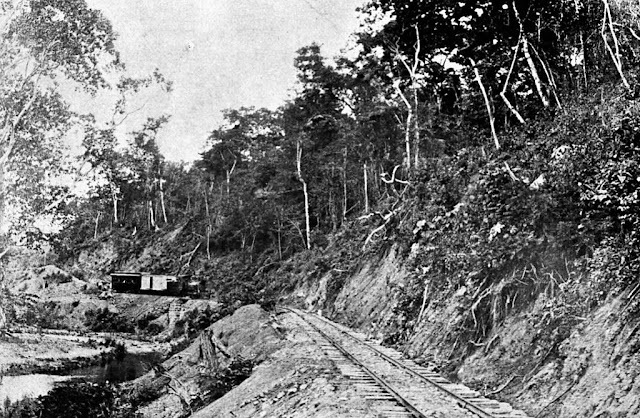 In 1892 Stewart was placed in charge of the construction of the Ferro Carril del Norte, a new line between Bogota and Cipaquira in the United States of Colombia. It was during 1892 - 24h May- that Stewart was elected an Associate Member of the Institution of Civil Engineers, based in London. Following in the footsteps of Stewart and Hunter partners - his father James Stewart ( elected 1868) and Ashley Hunter ( elected 1883 ). New Zealand's first professional engineering body in New Zealand - the Institute of Local Government Engineers of New Zealand, was formed in 1912. It merged in 1914 ,with the New Zealand Society of Civil Engineers ( formed 1913) Ashley Hunter was to become president of the New Zealand Society of Civil Engineers in 1922–23. James Stewart jnr did not progress his engineering career further for fate intervened at the beginning of 1893. He had resigned the post in charge of the construction of the Ferro Carril del Norte in September of 1892. This step to undertake the survey of the Ocana Railway for the Railway and Works Company, Limited. Before the conclusion of that survey he was bitten by a snake, from the effects of which he died, on the 26th of January, 1893, near Quebrada de la Lejia in the República de Colombia. 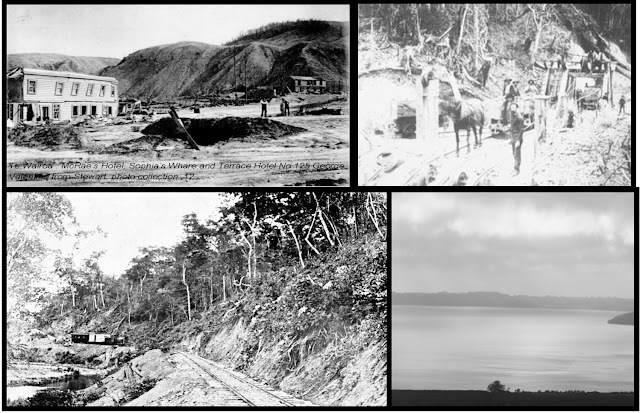 For railway construction personnel of South America in the 1800's, mountainous terrain, thick forested areas along with dangers of snakes and insects such as malaria causing mosquito's led to many occupational deaths. 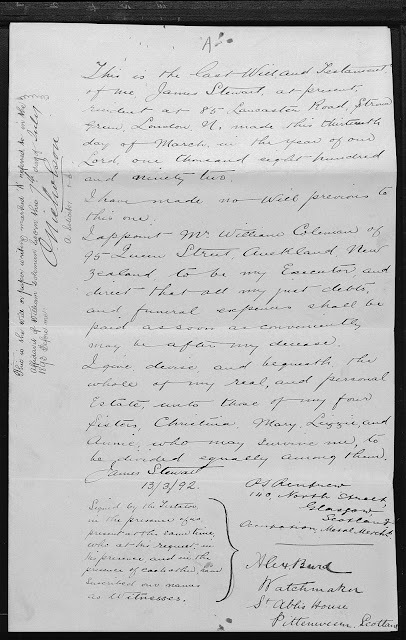 Excerpt of letter from probate records"New Zealand, Archives New Zealand, Probate Records, 1843-1998," database with images, FamilySearch (https://familysearch.org/ark:/61903/1:1:Q2XL-C637 : 12 November 2017), James Stewart, 1893; citing Auckland, , record number 1476, Archives New Zealand, Auckland Regional Office; FamilySearch digital folder 100968197. Also in the same letter John wrote that James was unaware that he had been elected an Associate Engineer as did not live to see the notice. However, at least it was recorded by the witnesses who were with him, where the grave was. In probate documents is a translated copy of declarations from the witnesses present taken at La Gloria courthouse 30 January 1893 by the then Court Judge Roberto Hurtado. The three witnesses being Augustin Arvalaez, Pablo Vanegas and Callisto Castilla. For many of those railway construction personnel, it was often not known where they had been buried. Probate records show that the syndicate he worked for felt he had brilliant prospects in Colombia and was said to be general favorite of many in Bogota. Amazing, for James first language was English and not the Spanish of the country he travelled to and worked in. Perhaps he may have stayed in South America or perhaps had fate not intervened he may have returned at some point to Auckland, New Zealand. However for his sisters, including Annie, the story of James Stewart Jnr was passed down to other family members - a part of our past New Zealand History in railway construction and engineering. My grandmother, Annie, was youngest sister of James Jnr.